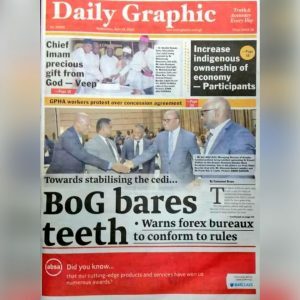 The new Chinese Ambassador to Ghana, Shi Ting Wang, is requesting a collaboration with Ghanaian law enforcement agencies to halt the rising cases of forged documents for Chinese visas by Ghanaians. 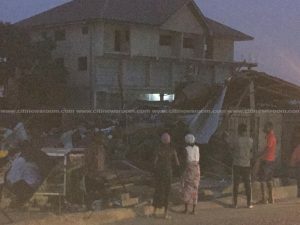 According to him, there have been recent challenges with acquisition of visas to China due to the sheer number of Ghanaians seeking to move to his country and the predominant use of forged documents for visas. His comments come at a time when Ghana-China relations have been under scrutiny for a number of reasons. The Ambassador made these remarks when he paid a courtesy call on the Speaker of Parliament, Prof Mike Oquaye. He described the situation as worrying. “Our law enforcement organisations could work together to reduce the forged documents issue. I think that is one of the major challenges we face. But we encourage and welcome young people to go to China. This is our policy and this is very clear,” he said. The Speaker of Parliament, Prof. Oquaye also called for deeper collaboration between the two counties to enhance the development of both countries. Figures show that there are over 5,000 Ghanaian students studying in China. Ghana’s relationship with China dates back to Dr. Kwame Nkrumah’s era. The country continues to support Ghana in diverse ways. It has supported Ghana in terms of infrastructure and financial support. The government of Ghana recently signed an agreement with China for a $2billion facility which will be paid using Ghana’s refined bauxite, whiles Ghana gets infrastructure in return. 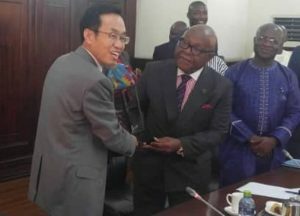 The post Stop forging documents for China visa – Chinese Ambassador to Ghanaians appeared first on Citi Newsroom.